F1 finally came back to the PC and major consoles last year in the form of Codemaster’s F1 2010 video game and, the occasional AI and pit-stop bug aside, it certainly lived up to the hype receiving widespread critical acclaim including a gaming BAFTA for the best sports game. 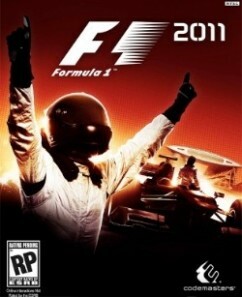 However, whilst the game created a solid base there was still much room for improvement and so this year’s version of the franchise aims to build on the successes of last year whilst learning from the mistakes, and all indications suggest that there have been some substantial leaps forward in F1 2011. The first major change in the game mirrors those occurring in the sport in real life: the rules. DRS (which stands for ‘Drag Reduction System’) and KERS (‘Kinetic Energy Recovery System) have both been introduced into the sport this year as a way to increase the excitement of races; the former opens a rear-wing flap reducing drag (and thus increasing speed) whilst the latter gives a speed boost from a battery charged under breaking. Both of these technologies along with the new Pirelli tyres have proven very effective at creating interesting races in real life, and there is no reason given that they are present in the game that they will not do the same. 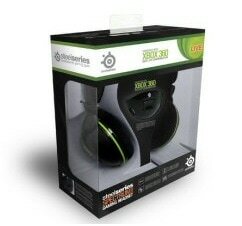 Back in July of last year Steelseries announced two headsets specifically designed for Xbox 360 gaming: the Spectrum 5xb and 4xb, and over the last couple of weeks we’ve had our hands on the former of these to see how well it matches up not only to the pretty good pedigree that Steelseries have created for themselves but also against the competition. Probably ever since the first wheel was invented, people have rated their wealth by their possessions and how well they compare to others: in medieval times it was the number of wives you had, in the 1930s it was your radio, in the 60s it was colour TVs and now arguably it is your phone. 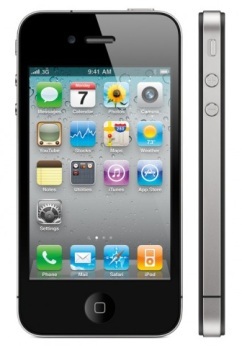 However, some interesting research suggests that in fact many of those who own fancy mobile phones are those that are further down the earning hierarchy than they may first appear and that there is one phone that suffers from financial deficiencies in its owners more than others: the iPhone. Despite the logical inference that the high price tag would mean that only the wealthy could afford to buy an iPhone almost one in five iPhone owners in this survey admitted that their main account is always overdrawn, a statistic that is around double the national average of one-in-ten people. HTC has gone through somewhat of a surge in terms of success in the last couple of years with phones like the HTC Desire and the Desire HD impressing many of us and setting great standards in terms of Android-based smartphones and now have they done it again with the HTC Wildfire? 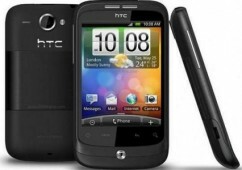 As we saw in the announcement of the HTC Wildfire is very much a budget Android-based smartphone aimed at those who want the more out their phone for a smaller price tag than the likes of the iPhone 4, HTC Desire or Nexus One, and the £160 that you will have to shell out for one is certainly that. But have sacrifices been made for this price? Once you’ve got your nice shiny new laptop, or in fact your old battered, but nevertheless well-loved laptop, it’s important to keep it safe and in one piece and as I can tell you from experience it is definitely worth making sure that the bag you use to carry yours around it is a good one. 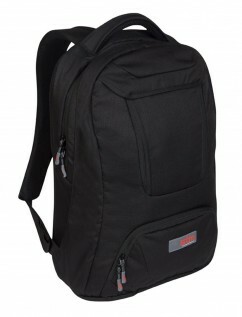 Enter the STM JET Laptop Backpack, the latest release from STM bags who specialise in these kinds of things, and it really seems to be the epitome of practicality over that of the style that you find with laptop bags for girls. 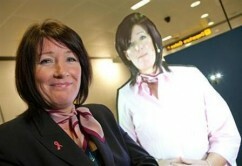 Manchester Airport Introduce Holographic Virtual Guards – Another Step Towards Our Sci-Fi Future! It sounds a little bit like something out of Star Trek or numerous other science fiction movies, but the two new figures that you will be able to see at Manchester Airport’s Terminal 1 are quite possibly the first really useful use of holographic technology here on British soil. Using films of actual staff John Walsh and Julie Capper these two holograms can be seen standing by the security areas of the airport with the aim of assisting passengers with the increasingly complicated rules of what they can and cannot take on board the plane in an attempt to ease the workload of their real-life equivalents. 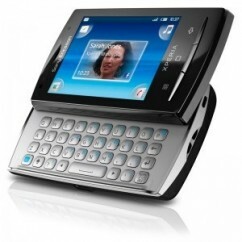 One of the major criticisms of the Sony Ericsson Xperia X10 Mini Pro when it was originally released was that the 1.6 version of Android which the phone used was somewhat outdated severely limiting the number of the apps that the user could use, but now it’s been updated to use Android 2.1 so we thought we’d have a look at how the phone fared, especially given we’ve already reviewed the Sony Ericsson Xperia X10. Microsoft and Intel are two of if not the biggest companies in the tech world, both of which have played large roles in bringing us to where we are today in the 21st century, but today’s surprise announcement at CES (Consumer Electronics Show) could spell the beginning of the end of the dominance that these two companies have had over the market. 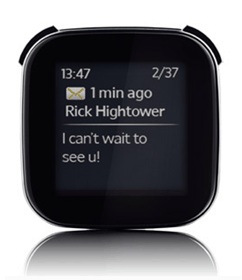 Described as “Unthinkable” by the former manager of Nokia this announcement made by the head of Microsoft Steve Ballmer stated that the next version of the company’s Windows operating system (Windows 8 if you will) will run on chips made by the little known (at least in the world as a whole) company Arm. As one of the biggest and most prestigious gaming awards out there, the Golden Joystick Awards are quickly becoming arguably the most important in the country (only exceeded perhaps by the BAFTA Games Awards) and provide a very good indication of what the gaming public really like due to the fact that they are awarded completely on the votes unlike the judging system seen in other awards. Back in June, we brought you the Golden Joystick Award 2010 nominations for the 16 slightly modified categories and 200 days, over 4000 games and a massive 1.54 million votes later the results are in as to which are the biggest games of 2010; if you voted did your nominations come out on top? And if not it certainly makes interesting reading for any game fan out there!